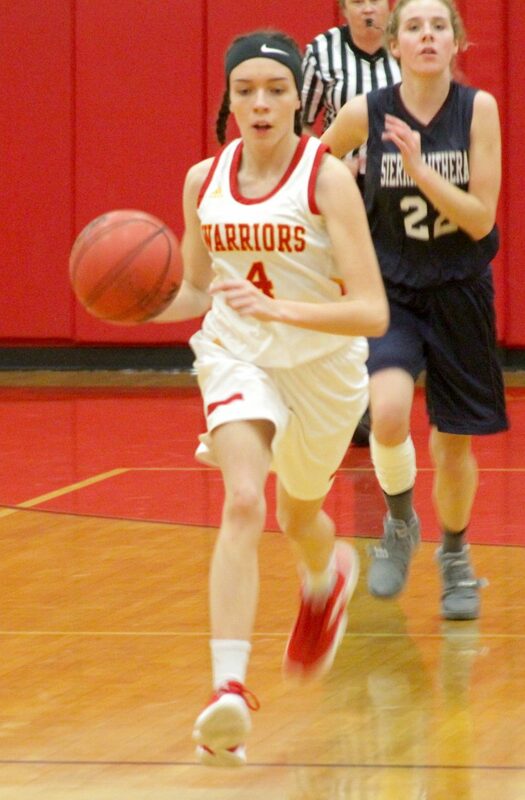 Madison Burch leads a Whittell fast break. 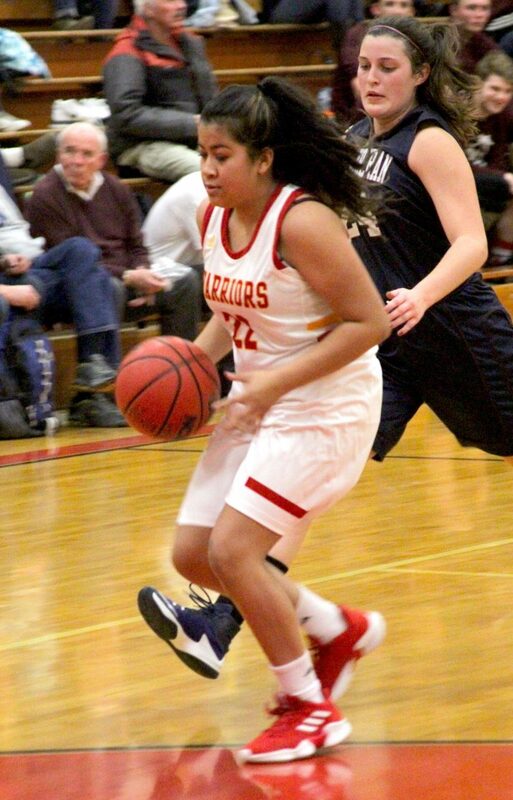 Whittell's Kyla Rippet dribbles upcourt. Andrea Smith handles the ball for Whittell. Whittell head coach Phil Bryant chats with his team during a break in the action. Trinity Kirvada-McGowan leads a Whittell break. ZEPHYR COVE, Nev. — Doink! Doink! Doink! 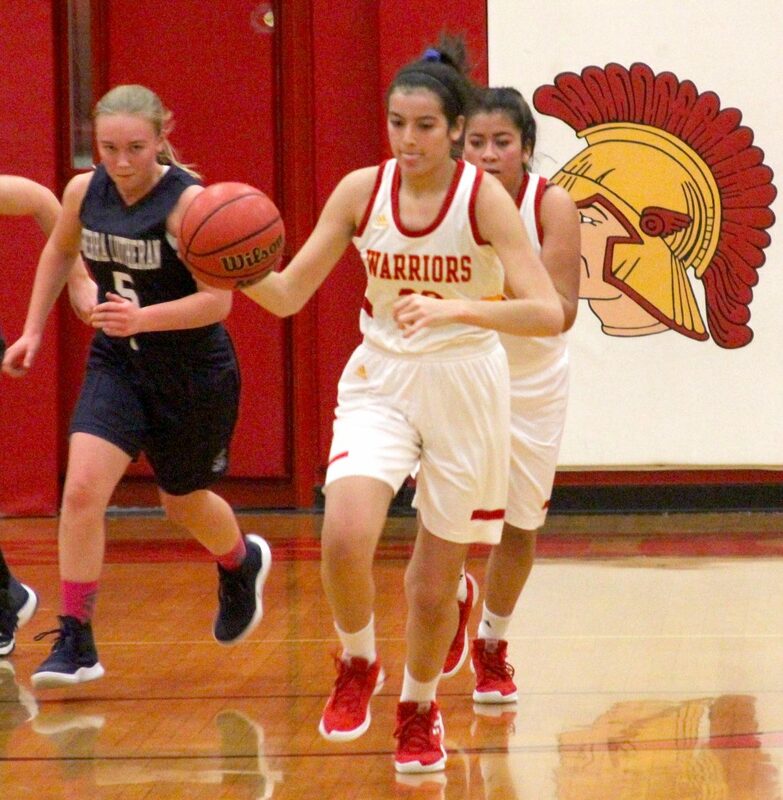 Whittell’s Lady Warriors hoisted a lot of shots Friday night and most ricocheted off the rim. But they were able to send enough shots through the twine to hold off an upset bid from the Sierra Lutheran Falcons. Whittell used a 19-5 third-quarter run to erase a 12-7 deficit at halftime and eventually hold off the Falcons for a 29-26 1A West League victory in Zephyr Cove. Whittell was missing its main ball handler and another heavy-minute contributor for this game. The rest of the team rotated roles and it took awhile for the Warriors to figure out how to make the offense work. Kyla Rippet took on the role of point guard and successfully dribbled through defensive pressure time and again. Whittell led 6-3 after the first quarter but Sierra Lutheran’s Amanda Almeida led the Falcons charge in the second period. The team’s captain scored five points in the period, had eight at halftime and finished with a game-high 15 points. The Warriors found the range in the third period where they made eight of their 10 field goals, including three of the teams four 3-pointers. Trinity Kirvada-McGowan led the way with five points as six different players made shots. The Warriors led 26-17 entering the fourth quarter and tried the clock as much as possible. And they did just enough to hold off Almeida and the Falcons. 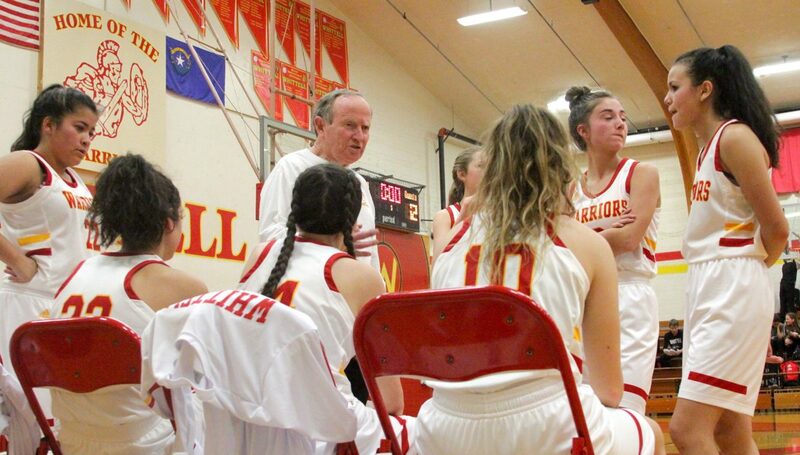 Shaylie Rippet led the Warriors with seven points while Kyla Rippet added six, Madison Burch scored five and Johnson and Andrea Smith each netted three points. The Warriors (13-5, 6-0 West) have won 10 of their last 11 games and remain unbeaten in league with four games remaining. 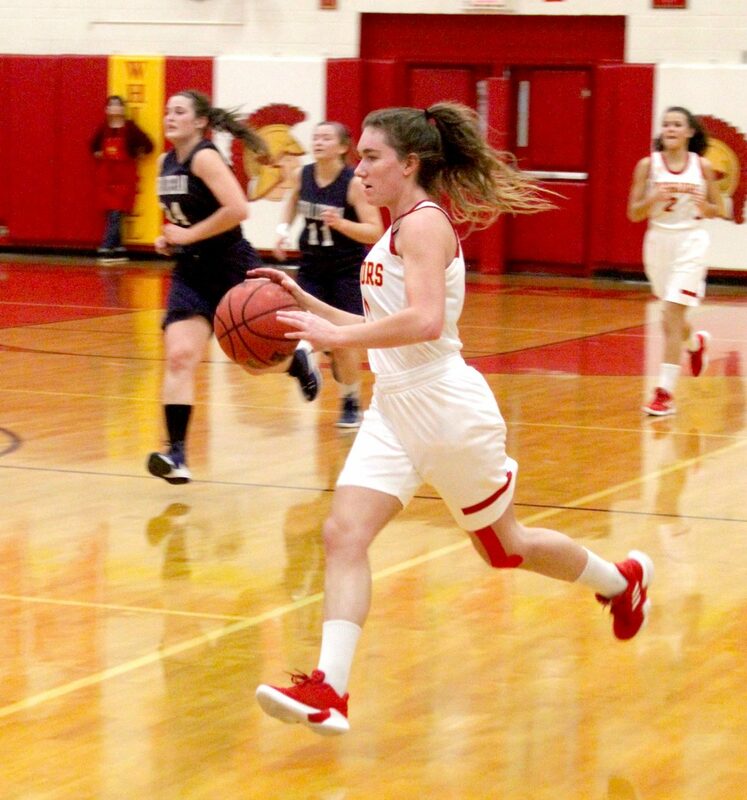 Whittell was scheduled to play Tuesday at Pyramid Lake (5-9, 3-2 West) and at 7:30 p.m. Friday against Excel Christian (2-9, 1-5 West) at home.